Go team, go!! 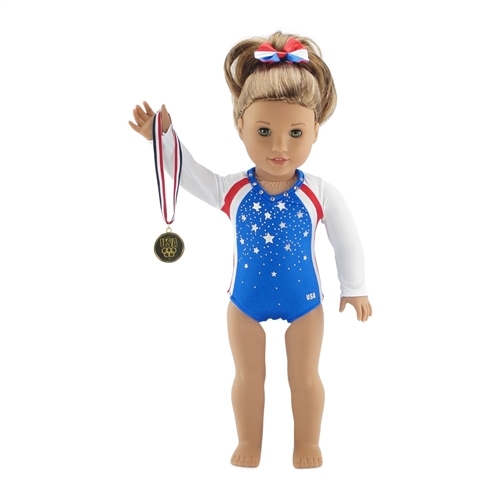 Your 18" doll will look super cool in this Team USA-inspired gymnastic doll outfit, perfect for showing pride in America! This gymnastics doll outfit includes an awesome, jeweled, red, white and blue uniform and a patriotic hair band with bow. But that's not all! 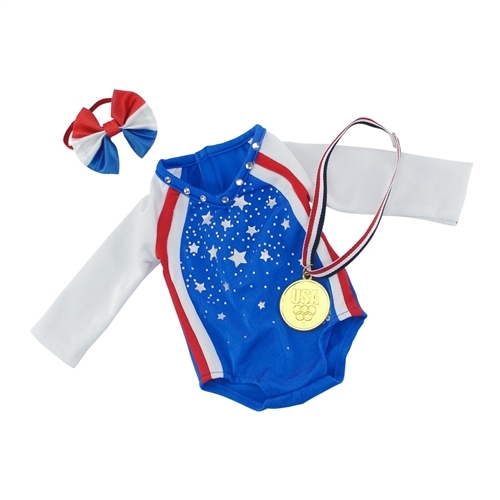 This amazing set comes with an authentic and realistic looking gold medal for your doll! The leotard has our special "no grab" Velcro closure, making getting dressed a snap! 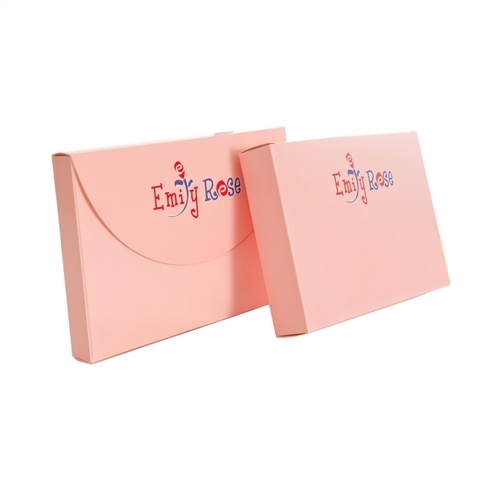 This awesome doll outfit comes packaged in our special pink Emily Rose gift box and is a perfect addition to your 18 inch doll's wardrobe! Amazing 18" doll 3 piece Team USA-inspired gymnastics outfit, including cool, red, white and blue leotard with jeweled neckline. Also included with this set is a cute hair band with large, satiny bow, and a large, realistic Olympic gold medal, for hours of pretend fun!